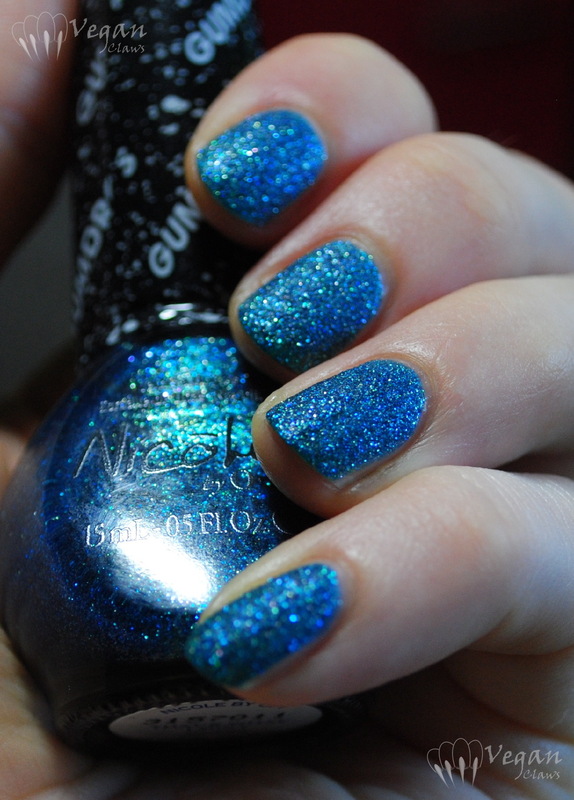 Today I have That’s What I Mint to show you, one of the texture polishes from Nicole by OPI. 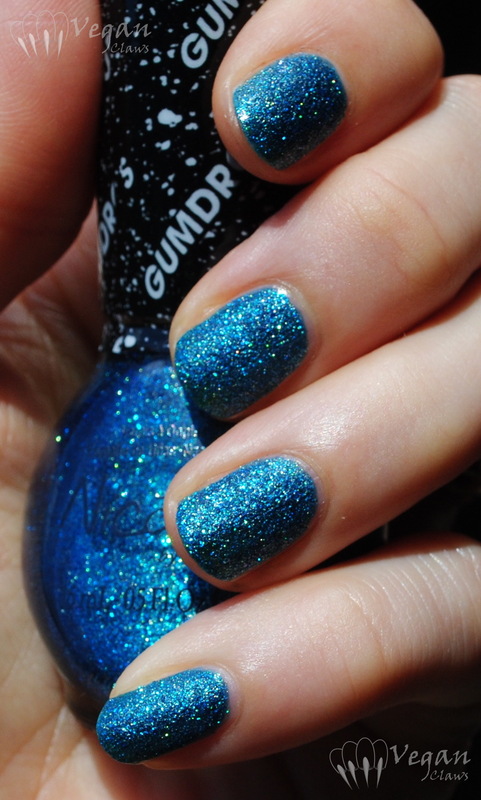 It’s not actually mint at all, it’s a deep teal with lots of sparkle, including gold glitter. Shown are two coats, and I had no issues with application. 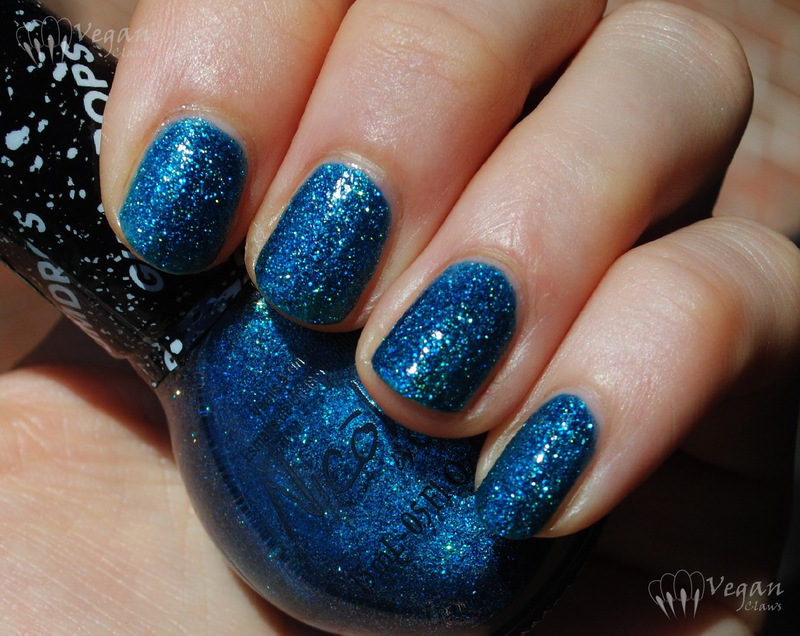 Teal textured glitter with a hint of gold, it should be no big surprise that I just love this polish! Here it is with topcoat in the last two photos. It needs two layers of top coat to smooth it completely; I applied one layer and then later on, after it was fully dry and the polish had “eaten” the top coat a bit, added the second layer. The photos were taken after applying the first layer of top coat.